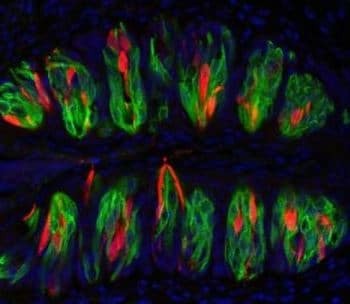 LOS ANGELES, CALIFORNIA — Findings published January 25th, in the esteemed journal Science, show that scientists at the University of Southern California discovered a new class of ion channels that are important in the inner ear for balance, and are also present in the taste cells that respond to sour flavors. These ion channels let protons into cells. Protons set pH level, controlling whether a solution is acidic or basic. Because sour taste is the perception of acidic substances, which have a high concentration of protons, USC scientists predicted that sour taste cells have an ion channel that responds to or transports protons. Eight years ago, the USC lab used biophysical approaches to show that protons enter taste cells through a specialized proton channel in the cell membrane. The gene encoding this channel and the structural properties of the proton channel were unknown, but now research has identified the otopetrin family of genes, also present in the vestibular system, as encoding proton-conducting ion channels. In the vestibular system, Otop1 (one of the otopetrin genes) is necessary for the proper formation and function of otoconia–calcium carbonate crystals that sense gravity and acceleration. The researchers speculate that the otopetrins help maintain the pH appropriate for formation of otoconia. 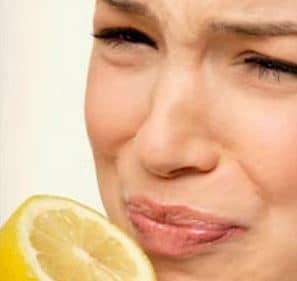 To read a full account of how scientists discovered this link between sour taste and balance, go to this Science Daily report. Very interesting. What you taste may be your downfall!